"Yesterday," named the Closing Night Film for this year's Tribeca Film Festival. Oscar-winning director Danny Boyle’s Yesterday, from Universal Pictures and Working Title, will world premiere as the closing night selection of the Tribeca Film Festival’s 18th edition. Tribeca also announced this year’s Gala Anniversaries, including a never-before-seen restored version of Francis Ford Coppola’s cinematic masterpiece, Apocalypse Now, and the 30th anniversary and cast reunion of the iconic ‘80s coming-of-age film Say Anything... There will be additional Galas with the world premiere of Between Me and My Mind about Phish lead singer Trey Anastasio, followed by a special musical performance by the Trey Anastasio Band at the Beacon Theatre, as well as Tribeca/ESPN Sports Film Festival opener The Good, The Bad, The Hungry. The Tribeca Film Festival takes place from April 24 - May 5, 2019. The previously announced 25th anniversary of Reality Bites will now bring together director Ben Stiller, writer Helen Childress, with cast including Ethan Hawke, Winona Ryder, Janeane Garofalo, Steve Zahn, and more surprise guests from the film. These film anniversaries and reunions are completed by the 35th anniversary of This Is Spinal Tap. In addition, Tribeca will give audiences a chance to see Star Wars: Episode IV - A New Hope (1977) on the big screen with a free family event on "Star Wars Day"--May the 4th Be with You. This year’s Closing Night film will continue Tribeca’s tradition of showcasing great storytelling with director Boyle’s highly anticipated film, Yesterday. 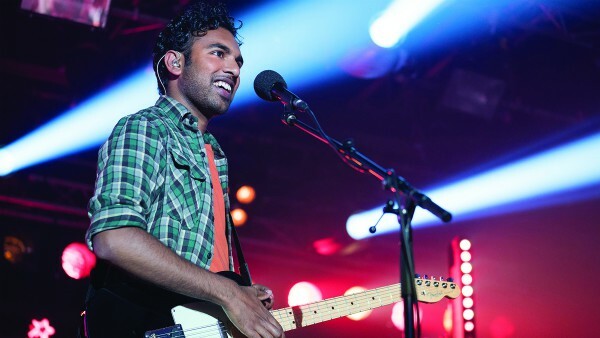 The rock-n-roll comedy, with a screenplay by Oscar-nominated screenwriter Richard Curtis, follows Jack Malik (Himesh Patel, BBC’s Eastenders), a struggling singer-songwriter in a tiny English seaside town whose dreams of fame are rapidly fading, despite the fierce devotion and support of his childhood best friend, Ellie (Lily James, Mamma Mia! Here We Go Again). Then, after a freak bus accident during a mysterious global blackout, Jack wakes up to discover that The Beatles have never existed...and he finds himself with a very complicated problem, indeed. The film stars Patel, James, Kate McKinnon, and Ed Sheeran. Tribeca will celebrate the 40th anniversary of Coppola’s renowned film Apocalypse Now as a Gala presentation at the Beacon Theatre. For the first time ever, audiences will see Apocalypse Now: Final Cut, remastered in 4K Ultra HD with Dolby Vision® and Dolby Atmos® from a 4K scan of the original negative. “Restoring Apocalypse Now: Final Cut forty years later has been a tremendous undertaking and joy that I am thrilled to be able to share with the world for the first time at this year’s Tribeca Film Festival. The audience will be able to see, hear and feel this film how I always hoped it could be—from the first ‘bang’ to the final whimper,” said Coppola. Director Cameron Crowe and executive producer James L. Brooks and the Say Anything...cast will be on hand to discuss the film--and that iconic boombox scene--following a special screening marking its 30th anniversary. “This year, we are bringing some of the most iconic storytellers of our time back to the ‘big screen’ for our audiences by creating events and reunions for beloved films,” said Tribeca EVP Paula Weinstein. Tickets go on sale Tuesday, March 19 at 11am ET for the events at the Beacon Theatre: Apocalypse Now: Final Cut, This is Spinal Tap, Between Me and My Mind. Tickets for Reality Bites, Say Anything..., and The Good, The Bad, The Hungry go on sale Tuesday, March 26 at 11am ET. Yesterday, directed by Danny Boyle, screenplay by Richard Curtis, story by Jack Barth and Richard Curtis, produced by Tim Bevan, Eric Fellner, Bernie Bellew, Matthew James Wilkinson, Richard Curtis, Danny Boyle. (UK) - World Premiere. The Good, The Bad, The Hungry, directed by Nicole Lucas Haimes. (USA) - World Premiere, Feature Documentary. Fortitude. Honor. Tradition. Two rivals address the years of animosity that defined their careers and their shared dream of achieving greatness on the world’s biggest stage: the Nathan’s Hot Dog Eating Contest. An ESPN Films release.